It's PAYBACK Time! With MobiKwik on your phone, the options to use your hard-earned PAYBACK points are limitless.Pay for mobile recharge, Bill payments, and for online & offline purchases. MobiKwik System’s MobiKwik is India's number one Mobile Wallet trusted by millions of users. The MobiKwik Wallet enables you to pay in a flash for mobile recharge and bill payments, and for online and offline purchases! MobiKwik wallet payments are accepted at eBay, CCD, Jabong, Snapdeal, ShopClues, JustEat, MakeMyTrip, BookMyShow, Domino's Pizza and many more merchants. You can also transfer money from one MobiKwik wallet to another. Kwikly redeem your points and use them to make phone & DTH recharges, pay your bills (even insurance premiums!) and shop with over 50,000 merchants! Cool, isn’t it? Go to My Wallet on MobiKwik Android App or My Account on MobiKwik iOS app. 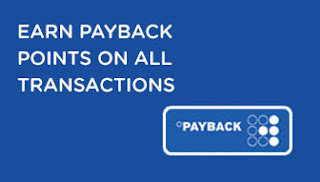 Click on redeem PAYBACK points. Choose how many points you want to redeem. Enter your 4 digit PAYBACK PIN and tap on Redeem Points.